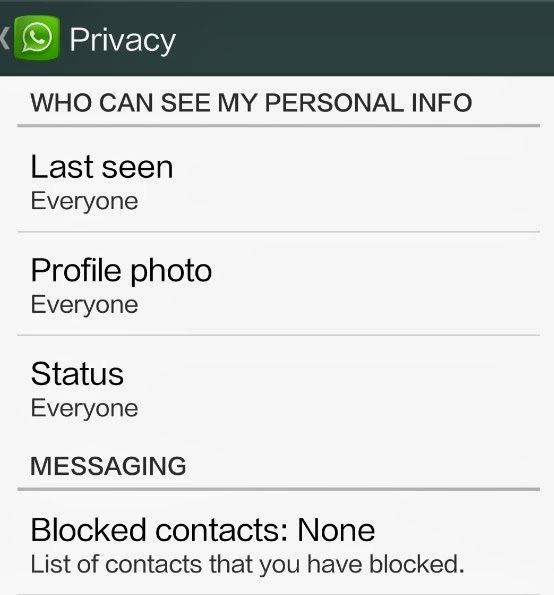 WhatsApp adds a new privacy update feature that allows the user to choose who can see information about the user. Options include ability to select who can see when the user was last seen on WhatsApp, who can see the user's profile image and which contacts can see the user's status updates. Though these changes are certainly welcomed and much needed, it is an open question whether they are connected to the recent 19 billion dollar acquisition of WhatsApp by Facebook. Facebook has faced privacy issues for years and has made repeated changes in order to accommodate increasing demands on privacy from its users. It may be now WhatsApp is started to address privacy issues because of Facebook's influence. However, Facebook or no Facebook, WhatsApp previously allowed a user to see another's users profile picture, status and when last it used WhatsApp even if that user did not confirm the first user's credentials. Of course, this left open the option for people to find out information about other people they had no business knowing, just because they found out their phone number. Remember to update your app and check you WhatsApp settings to turn these options off!